Parking space for all hotel rooms. The parking is included in the price! We offer room service and breakfast buffet. Live the freedom of a beach holiday in Caorle. 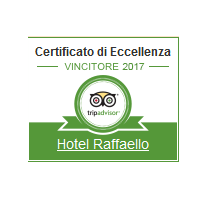 Our Hotel is located 500 meters from the historical center of Caorle, and 50 meters from the beach on the main street of Viale Santa Margherita. 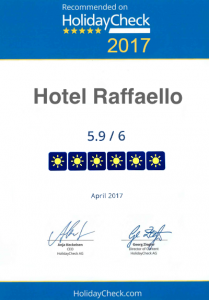 Our hotel has been completely renovated in 2010, with spacious insulated rooms, modern technologies, but still run by the family owners Raffaello and Berit who will personally welcome you with kindness and hospitality. In the course of your stay you have the possibility to relax on our sun-terrace or you can use our bicycles to visit the beautiful town of Caorle. We offer Bed and Breakfast, which is the perfect formula to enjoy your vacation with the freedom of your own time. You will be able to relax, sleep, and have fun as you like. For lunch or dinner, you will be able to choose among the many restaurants and bars that Caorle offers.